Did Joseph Smith ever have his picture taken? If so, does such a picture exist today? 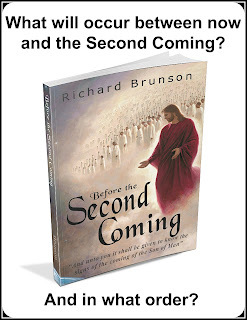 These two questions are carefully examined in S. Michael Tracy's book entitled, Millions Shall Know Brother Joseph Again. After studying this book, I have felt impressed to write a brief review of his findings, and include in this article what many believe to be an actual photograph of Joseph Smith. Joseph departed for Washington, D.C., on October 29, 1839, to seek redress from President Martin Van Buren for the loss of properties in Missouri. After Joseph and Judge Elias Higbee completed their business in Washington, Joseph, "left for Philadelphia by rail about December 21." This places Joseph in these two cities at the right time for an opportunity to have his photograph taken. What is incredible is that for one month, while in Philadelphia, Joseph Smith stayed with Dr. Alfred Woodward, whose establishment was located only a few blocks away from Philadelphia's first daguerreian studio, which was in operation at the time. Furthermore, according to Tracy, “early photographers often sought out prominent people to advertise their work. Joseph, being who he was, would have been someone that any daguerreian would have been interested in photographing." And according to LDS historian Will Slaughter, "Joseph would have been somebody who would be very curious and interested about new technology." We also have historical records that state that men were in business as daguerreotypists in and around the area of the Prophet during his life in Nauvoo. [Lucian R. Foster] owned a daguerreian studio in New York, in 1842; during this time he worked on the map for Nauvoo. He moved to Nauvoo two months before the martyrdom of the Prophet.... He lived across the street from Joseph and Emma on Parley Street in Nauvoo, and we know he took daguerreotypes of other LDS leaders and of the [Nauvoo] temple. 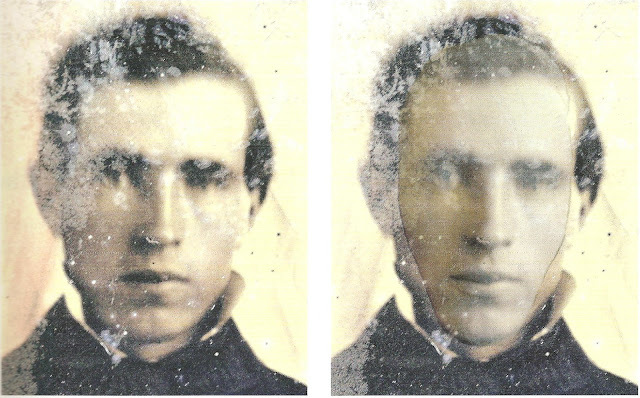 Joseph Smith III said he thought Lucian had taken a picture of his father. [Mr. Seixas] was taking daguerreotypes in Washington, D.C., of land marks and of "prominent people" for his exhibits in Washington and Baltimore at the same time Joseph was there preaching to thousands. Many reporters gave written reports to countless numbers of readers of his addresses, making him well know. This means that Joseph Smith would have had a five year window, from the time these first photography studios came into operation in America, to the time of his death, to get his picture taken. Interestingly enough, the photograph presented above has been estimated to have been dated between 1839 and 1850. This means that this picture could have very easily been taken during any one of these scenarios laid out above. With this in mind, we now examine the photograph itself to see whether or not there is any evidence that it could be of Joseph Smith. Clothing styles of the 1840's. Written descriptions from known associates. Primary portraits of the Prophet. 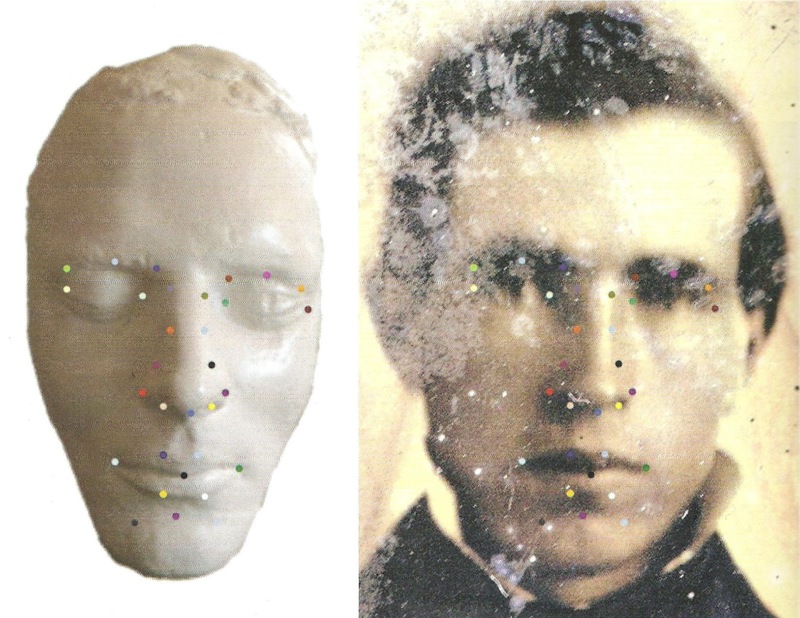 This grid line comparison test compared the photograph in question with the death mask itself. As we can see, each line in Figure 2 represents an exact match, which means that our photograph passed its first test. 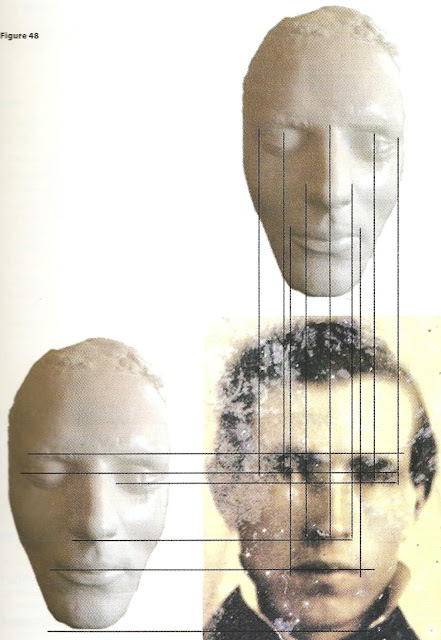 Once this photograph passed all of the forensic tests associated with the death mask, it was then compared with Joseph Smith’s skull. In 1928, the bodies of both Joseph and Hyrum Smith were excavated from a nearby river in Nauvoo, and relocated to a more permanent newly marked grave next to Emma Smith. 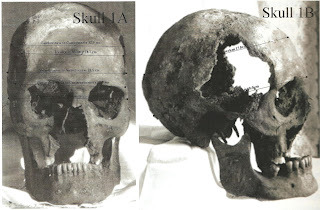 Before being reburied however, a series of photographs were taken of Joseph Smith’s skull, as seen in Figure 5. 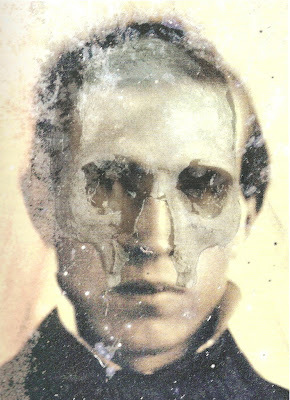 It is amazing how cleanly Joseph Smith’s skull lines up with the photograph in question. In fact, no other alleged photograph claiming to be of Joseph Smith even came close to passing this, or any other tests preformed by the forensic analyisis, let alone all of them. However, before we come to any conclusions, let us examine a few of the concerns. Objection 1 - It does not look like Joseph Smith. In reply to this concern, we ask the question, "How do you know what he looked like?" There has been no authentic photograph of Joseph to show us what he looked like. We have had to rely on artists' renderings of Joseph. Each of us has our favorite Joseph [painting]...but they all look so different. In the words of Richard Holzapfel, "The truth is, if in fact [a photograph] appeared today, most of us would probably say it wasn't him because it doesn't look like the idealized paintings that we're used to." This is a true statement and a concern.... [According to scientific and medical calculations] the man in the image [is] 177 to 184 pounds... Therefore, if this is an image of Joseph Smith, it was not taken during his later Nauvoo years when he weighed 200+ pounds. So, was there a time when Joseph was around a photographer when he would have weighed approximately 180 pounds? The answer is yes...during his stay in Philadelphia, which was late 1839 and into 1840, Joseph weight about this much because it was just after his release from Liberty Jail, having been fed so poorly there. Objection 3 - The images shows a man approximately 32-35 years old. But if you believe that it could be Joseph Smith in Philadelphia in December 1839 or January 1840, he would have been 33 turning 34 years of age, which would seem to match this image better. 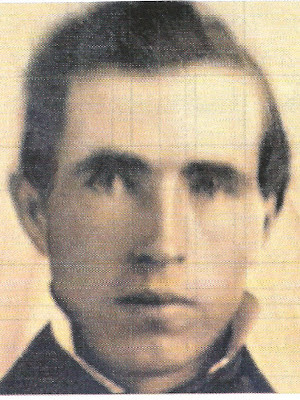 While there is no way to absolutely prove that this is a photograph of Joseph Smith, the evidence is certainly convincing. Did you enjoy this article? Join Our Mailing List. Its free! *All photos in this article are used with permission. This site is not affiliated with The Church of Jesus Christ of Latter-day Saints. All articles on this site are opinions of the various authors and should not be interpreted as official LDS doctrine. Official doctrines of The Church of Jesus Christ of Latter-day Saints, can be found at their website, www.lds.org. Copyright © 2016 by Rick Brunson. All rights reserved. Powered by Blogger.